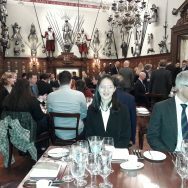 Ruthin School is delighted to announce that Upper Sixth student, Amber, came second overall in the Amourers and Braisiers Sixth Form Materials competition earlier this month in London. Last year she studied four modules on various topics including Nanotechnology and Smart materials. This was recorded as a portfolio in any format of her choosing. 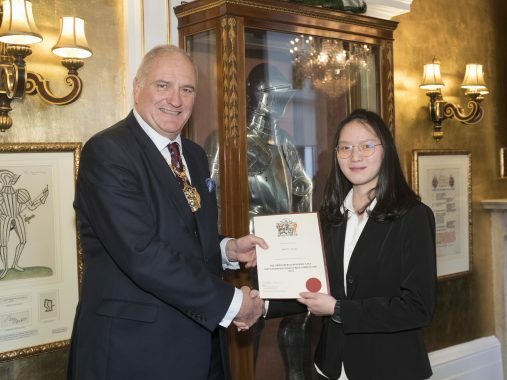 Then she completed a research module and presented her findings to a panel of judges at the National finals in London. She was vibrant and enthusiastic- despite having chosen concrete, which she admitted sounds boring until you look into it further! Amber won the “best portfolio ” category and came 2nd overall. She was a credit to our school.